A small tea shop run by a passionate owner. 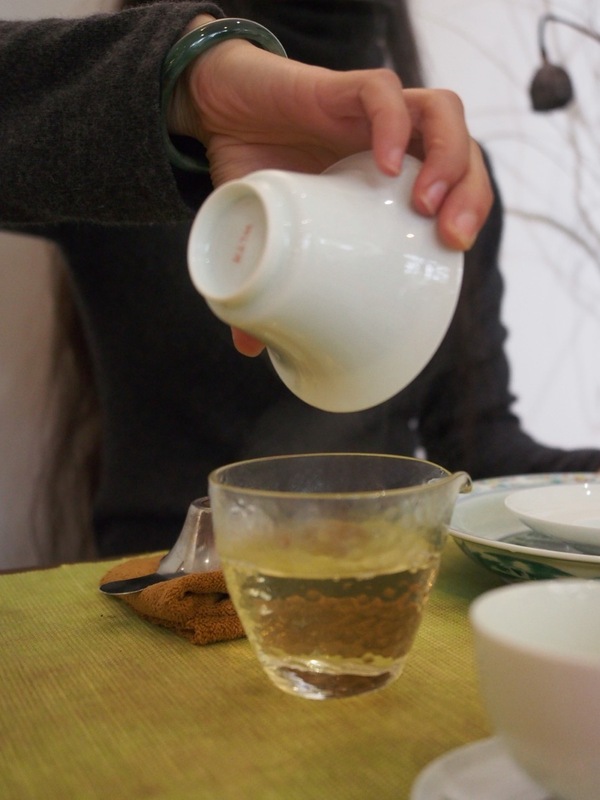 Right now you may not know what Tie Guan Yin is, but you'll be an expert by the time you leave! It's obvious, isn't it? 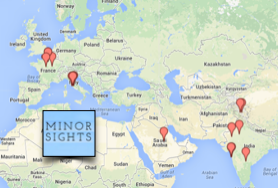 Tea originates in China. It's still the most popular beverage in the country, drunk by millions (billions?) on a daily basis. But if you think tea means Lipton or Earl Grey, then China may overwhelm you with more choice than you could ever imagine. 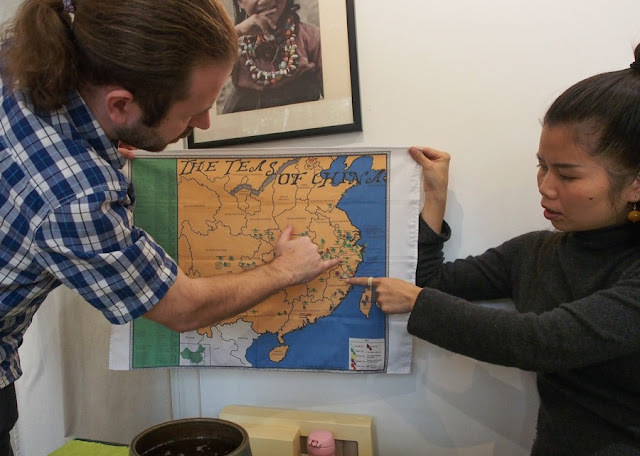 So if you're a tea novice, a quick introduction (and tasting) will help you navigate the myriad choices of Chinese tea. Ms. Wan Ling, a native of Fujian province, will be your tasting guide, helping you to discover one of China's most refined teas: Tie Guan Yin, Fujian's finest. At the edge of the French Concession, not far from Nanjing Xi Lu. Map. GOING TO CHINA and not drinking tea is like travelling to France and not trying the local wine. Why would you want to miss out? Hint: this is not Earl Grey. 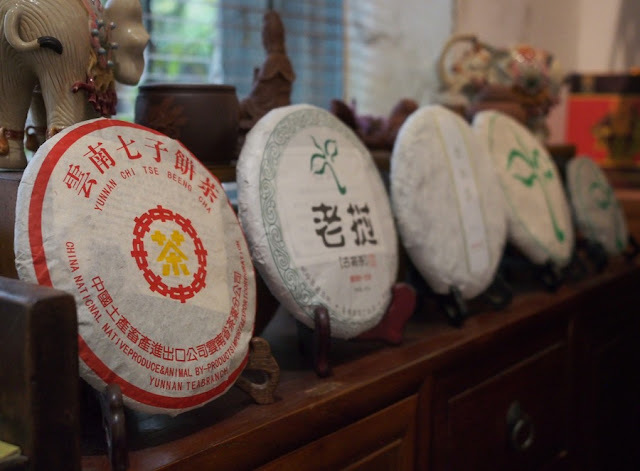 If you're in Shanghai and want a crash course in tea appreciation, you could rush to a tea wholesale market, like our beloved Tian Shan Tea City. But with 100s of stores selling tea by the bale, this can be intimidating, especially if your Mandarin is a little rusty. 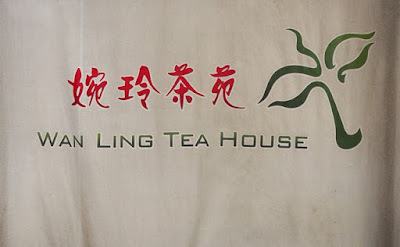 Wan Ling's passion is Tie Guan Yin, whose name references Guanyin, a Buddhist deity also known as the Iron Goddess of Mercy. Like Tie Guan Yin, Wan Ling hails from Fujian province, where she sources her teas directly from the estates. There! There's where we got it! Tie Guan Yin is an oolong tea, aromatic and light- think of it as a glass of Champagne rather than a heavy Bordeaux. 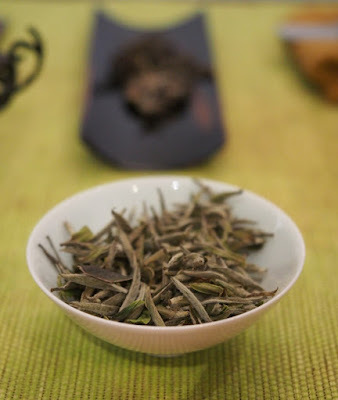 You'll find that a good Tie Guan Yin is practically like a green tea. It's only lightly oxidised (whereas black tea is 100% oxidised,) which means it is light and fresh and will tingle your taste buds with flowery aromas. 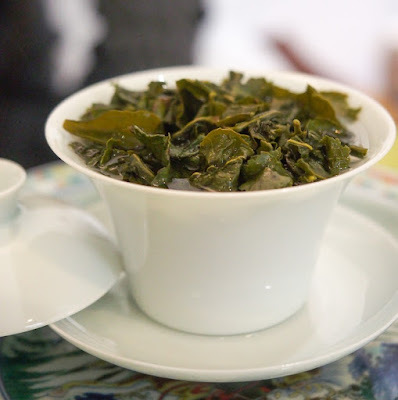 A cupful of heavenly Tie Guan Yin leaves. 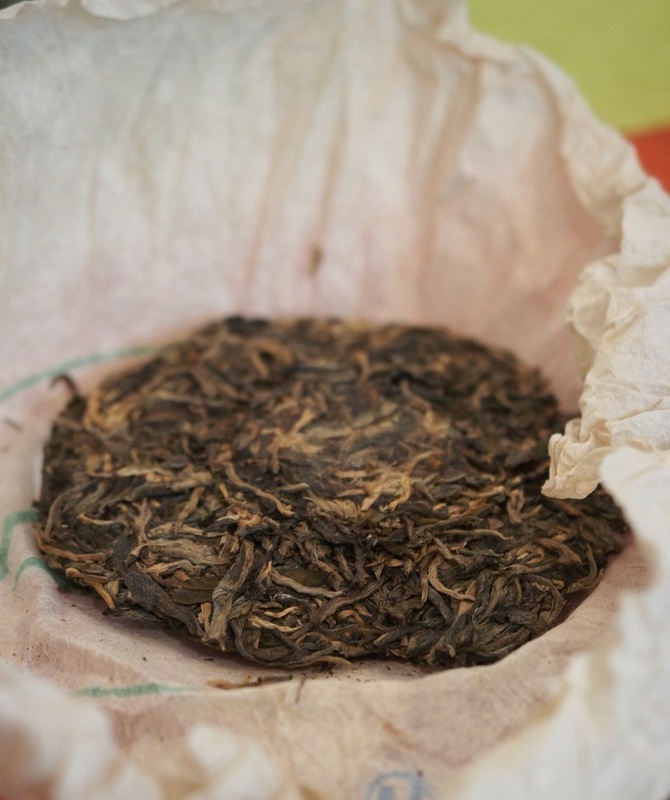 Wan Ling sells batches of Tie Guan Yin that were plucked last week. But she also trades in vintage teas, going back several years, just like a good wine trader would hold back some of the best wines in their cellar to bring them out a decade later for the true connoisseur. You won't find this stuff on supermarket shelves- not even in China. Need some 'oomph' in your cuppa? Fear not. Try some of the Pu-erh, cakes of aged and matured tea leaves that develop into complex brews with heavy notes... sometimes likened to the pungent smell of a muddy cellar. An acquired taste perhaps, but certainly different! 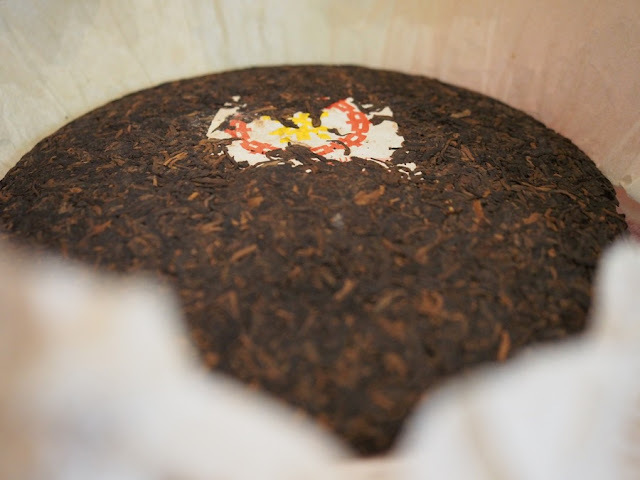 Cakes of Pu-erh sitting pretty. 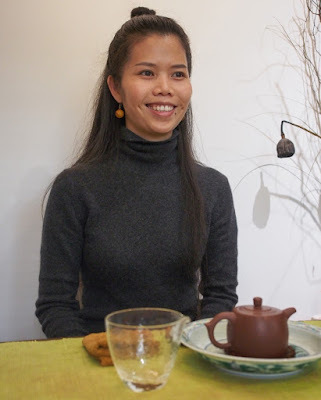 Wan Ling and hubbie James are both super knowledgable, and will be happy to enlighten you and help you on your way to become a bona fide tea guru. Wan Ling moved in November 2017. The new location is in a beautiful Art Deco residence, not on a shopping street. Do call ahead- the tea house is open every day, but it's a good idea to let them know you're coming. Take the metro 1, 9 and 11 at Xu Jia Hui station (exits 13 or 15) or lines 10 and 11 at Jiao Tong University (exit 1). Taxis are cheap and abundant. Flash this card with Chinese characters to your driver. Wan-Ling's official website is here. You'll notice most of the website is dedicated to e-commerce, shipping tea around the world- if you fall in love with any of the brews you can replenish from home! Do you drink a lot of tea, Jens?